We’ll inform you via an email once your order is shipped out. 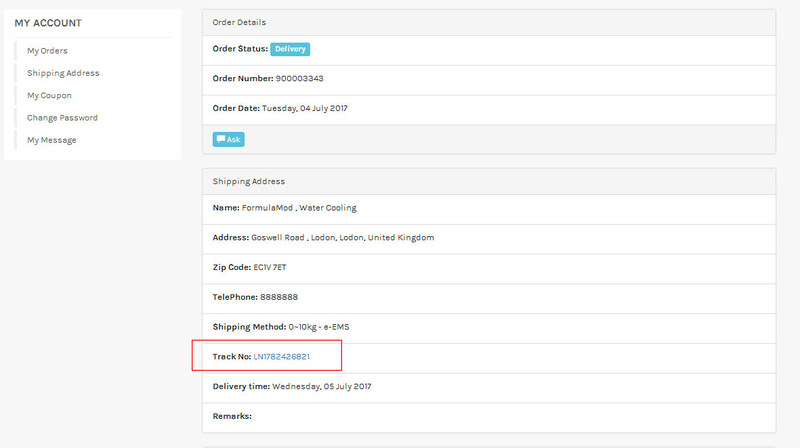 Log into your FormulaMod account, then you can find the shipping by these steps "My Orders->'Order number'->Track No.". Also you can submit a ticket to ask about shipping.